This class is designed for students who have taken at least one year of previous dance training (such as Ballet/Jazz I) and receive a teacher’s recommendation. 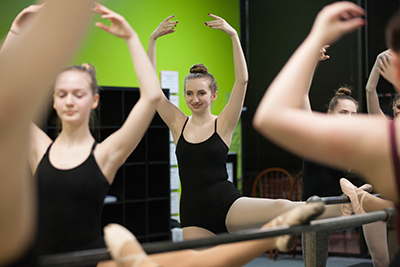 Lyrical is introduced into this class, along with maintaining and developing their ballet and jazz techniques. Dancers are now encouraged to really intertwine their technique with their acting and place further emphasis on telling the story through movement.